In addition to the Free Dining offer, Disney also released a room only discount for Disney Visa Cardholders! If free dining is not available or not a good fit for your vacation to Disney World, you can also save with the room only discount, which saves you up to 30% off your hotel! This discount may be a better deal than the free dining, especially for those guests staying at a Disney Deluxe Resort. When you contact your Kingdom Magic Travel Agent, they will make sure you get the best possible price for your vacation. This hotel discount is available for travel between 8/15/13 – 9/28/13. 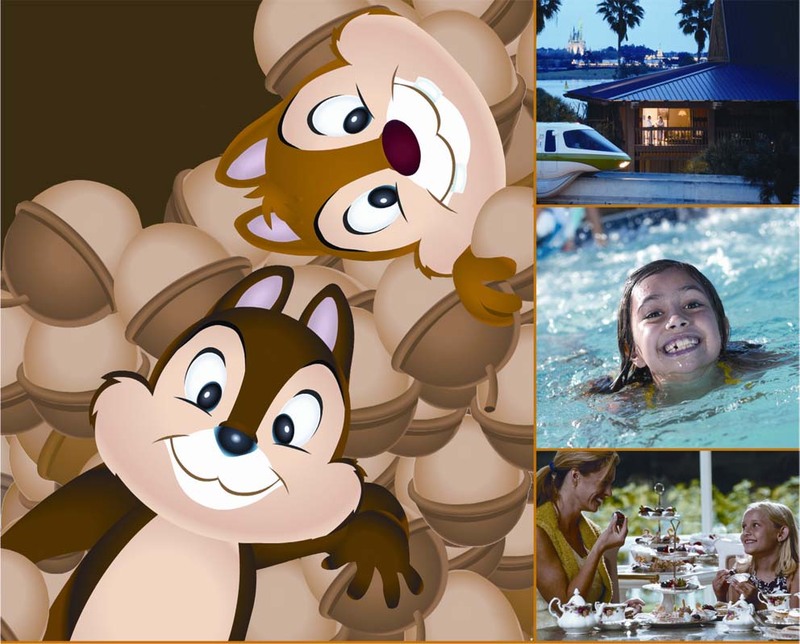 You can add tickets and Disney Dining Plans to your package for additional savings. For this resort discount, Disney has a few blacked out resorts including campsites at Disney’s Fort Wilderness Resort, 3-Bedroom Villas, and Little Mermaid Rooms at Disney’s Art of Animation Resort. For this discount, you must pay your $200 and final payment using your Disney Visa Card. This discount expires on July 31, 2013. This entry was posted in Disney Discounts, Disney News, Disney Resorts, Disney Special Events, Walt Disney World and tagged Animal Kingdom Lodge, animal kingdom lodge disney, best possible price, boardwalk inn, caribbean beach, club disney, Contemporary Resort, coronado springs, deluxe resort, fort wilderness resort, grand floridian, kingdom magic travel, Little Mermaid, port orleans french quarter, port orleans riverside, saratoga springs, star music, visa cardholders, west villas, wilderness lodge disney on May 7, 2013 by John Donahue. Glamping, also known as glamorous camping, has become a recent craze among those of us who prefer easy, stress-free and accessible “camping”. I love that it combines the luxuries of staying in a hotel with everything you love about backwoods camping. It’s the perfect excuse to unplug outside of the city, and is also a fun alternative to your conventional bachelorette party. 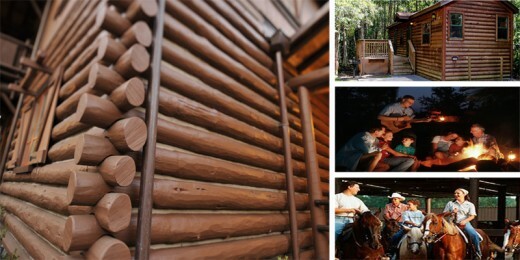 Walt Disney World Resort offers some great venues when it comes to luxurious camping – the first that comes to mind are the recently renovated Cabins at Disney’s Fort Wilderness Resort. With access to Bay Lake Beach, hiking trails, horseback riding and movies under the stars, you’ll find that glamping is the ultimate upscale retreat. 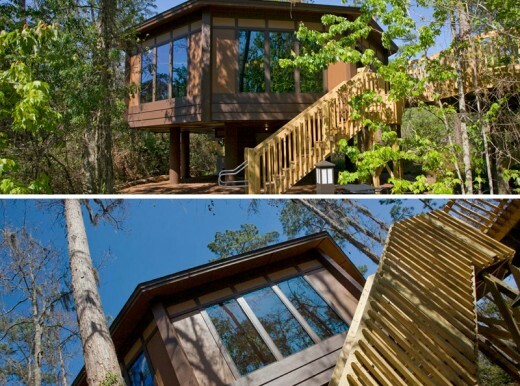 And if the wilderness really isn’t your thing, the Treehouse Villas at Disney’s Saratoga Springs Resort & Spa offer some exceptional amenities with access to the great outdoors. Remember – what happens around the campfire, stays at the campfire! This entry was posted in Disney Fairy Tale Weddings, Disney Resorts, Walt Disney World and tagged amenities, amp spa, bachelorette party, backwoods, campfire, camping, disney world resort, fort wilderness resort, glamping, great outdoors, hiking trails, horseback riding, luxuries, perfect excuse, saratoga, saratoga springs, upscale retreat, walt disney, Walt Disney World, Walt Disney World Resort on August 30, 2012 by John Donahue. It’s the perfect time for you to treat your family to a vacation in the middle of the magic at the Walt Disney World® Resort! You can save up to 30% when you book by Sept. 29, 2012. This entry was posted in Disney Special Offer, Walt Disney World and tagged amp spa, Animal Kingdom Lodge, boardwalk inn, caribbean beach resort, coronado springs resort, coronado springs resort disney, disney s coronado springs resort, disney world resort, fort wilderness resort, grand floridian resort, magic kingdom park, polynesian resort disney, resort cabins, saratoga springs, star music resort, star sports resort, Walt Disney World, Walt Disney World Resort, wilderness lodge resort, yacht club resort on August 28, 2012 by John Donahue. Why Stay at a Walt Disney World Owned and Operated Hotel? Walt Disney World Resort offers a broad range of accommodations – more than 20 resorts that vary in price, allowing guests to pay for only the amenities that are important to them. Disney Value resort guests are treated to larger-than-life theming, swimming pools and playgrounds, arcade rooms and standard amenities – and with more than 8,000 rooms at four resorts, about one-third of Disney’s hotel accommodations fall into the Value category. Families who prefer the great outdoors can rent a campsite at Disney’s Fort Wilderness Resort and Campground (with nearly 800 available) and either pitch a tent or bring along an RV. Moderate resorts, Deluxe resorts and Deluxe Villa resorts are available for guests who prefer additional amenities during their stay. Extra Magic Hours – Each day, Disney hotel guests are offered exclusive time in a Walt Disney World theme park one hour prior to scheduled park opening or for up to three hours after park closing. The park varies from day to day. In addition, Disney water parks sometimes open one hour early for guests of Disney hotels. To take advantage of the additional time in the parks, guests must have their hotel ID plus a Magic Your Way ticket valid for the park(s) offering Extra Magic Hours. Disney Dining Plan – Guests who combine their hotel accommodations and attractions tickets into a Magic Your Way Package are eligible to add dining for the convenience of a more-inclusive “cruise-style” vacation package. In 2011, there are three plan choices to satisfy different budgets and appetites. All include at least two meals and a snack for each night of a Disney resort stay. Savings and restaurant choices vary. Many families with young children select accommodations in one of the “monorail resorts” – Disney’s Contemporary Resort, Disney’s Polynesian Resort or Disney’s Grand Floridian Resort & Spa. Reason: location near Magic Kingdom and convenient monorail transportation between the resorts and Magic Kingdom or Epcot. 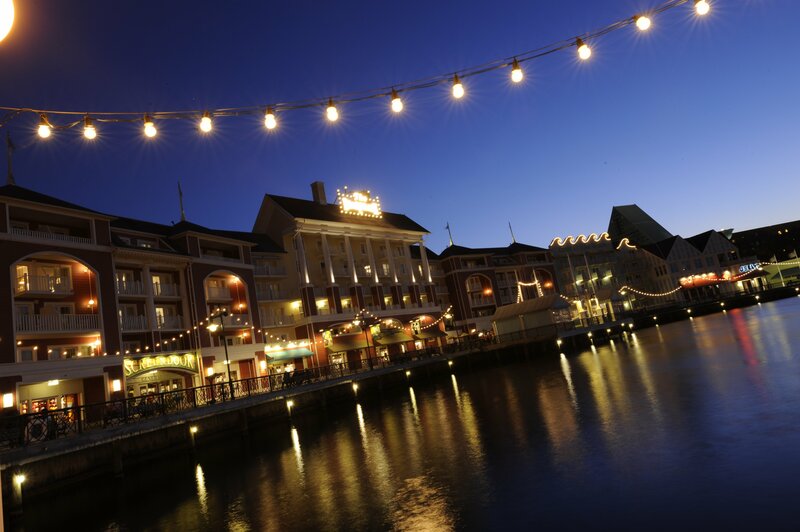 Many adult couples visiting without children enjoy the proximity to Epcot and Disney’s Hollywood Studios of Disney’s Yacht Club Resort, Disney’s Beach Club Resort and Disney’s BoardWalk – as well as the nightlife of Disney’s BoardWalk. Walkways and water taxis connect the three resorts with the theme parks. Theming – It’s not just a room. In the same way that Disney’s theme parks offer an escape to a timeless land of enchantment, a walk down small-town Main Street or a peek at the future, Disney hotels offer a mix of adventures. Disney Imagineers have created detailed, themed environments that include the romance and beauty of Africa at Disney’s Animal Kingdom Lodge to Victorian opulence at Disney’s Grand Floridian Resort & Spa. Lobby concierge – One call can do it all. Each Disney resort hotel offers a lobby concierge to arrange park tickets, dining reservations and tee times, and to provide helpful hints on setting up other activities. “Bottomless” drinking mug – Quenching a vacation-long thirst is easy at Disney’s resorts. Guests can purchase a mug themed to their resort that will become a keepsake when the holiday ends. During their length of stay, they can continually refill the mug at designated locations at their resort. Preferred tee times– Disney hotel guests get preferred tee times for Disney’s four championship golf courses – including two courses that are part of PGA TOUR tradition, having hosted professional events from the early 1970s to the present. This entry was posted in Disney Resorts and tagged arcade rooms, commercial airline, deluxe resort, deluxe resorts, deluxe villa, disney, disney parks, disney resort, disney world resort, fort wilderness resort, lavish amenities, moderate resorts, orlando, orlando international airport, Orlando Resort, resort guests, resort hotels, vacation kingdom, vacation magic, value category, Walt Disney World, Walt Disney World Resort, worry free vacation on September 13, 2011 by Rick Howard. Walt Disney World guests can experience a Segway Human Transporter (HT) for themselves, firsthand, as part of three different programs. Around the World at Epcot is a two-hour guided tour that allows guests to operate the two-wheeled, one-person transportation device throughout World Showcase before it opens to other park guests. Cost is $99.00 per person. Tours are daily at 7:45, 8:30, 9 and 9:30 a.m. The Simply Segway experience is a one-hour beginner’s class that gives guests a product overview, training and indoor riding time at Epcot’s Innoventions area. Cost is $35.00 per person. Simply Segway is offered daily (except Tuesdays) at 11:30 a.m.
Wilderness Back Trail Adventures is a two-hour tour that lets guests explore the natural beauty of the Florida landscape in and around Disney’s Fort Wilderness Resort & Campground. Cost is $90 per person. For all Segway programs, class size is limited to 10 guests. For tours at Epcot, park admission is required. Riders must be at least 16 years old to participate. Guests can call 866-972-6244 for more information or reservations. The Segway HT is the world’s first self-balancing human transporter that uses advanced technology, gyroscopes and tilt sensors to emulate human balance. This entry was posted in Disney News and tagged Disney vacation, disney world resort, Epcot, florida landscape, fort wilderness resort, gyroscopes, human balance, innoventions, park admission, park guests, person tours, product overview, segway ht, segway human transporter, tilt sensors, transportation device, walt disney, Walt Disney World, Walt Disney World Resort, World Showcase on July 21, 2011 by Rick Howard.